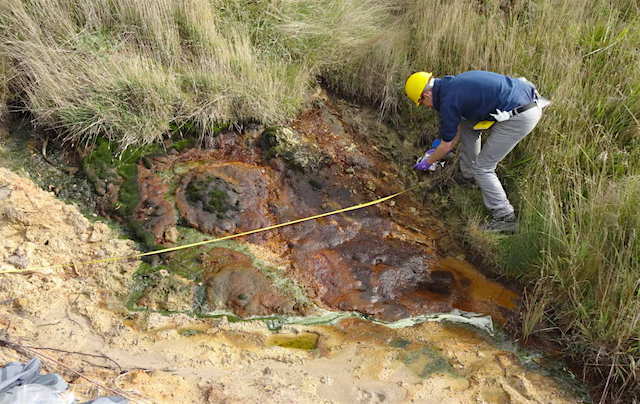 Using Dorset as Mars’ template, study co-author Professor Mark Sephton from Imperial’s Department of Earth Science & Engineering and colleagues examined organic matter preserved in St Oswald’s Bay’s rock deposits. They found that the Bay’s iron-rich mineral goethite hosts many microbes as well as traces of their fossilised organic remains. This entry was posted in Reports and tagged goethite, hematite, life, microbial life, organic materials. Bookmark the permalink.